CT sophomore Caroline Marks (USA) upset the competition with her win over 7x WSL Champion Stephanie Gilmore (AUS) at the Boost Mobile Pro Gold Coast. 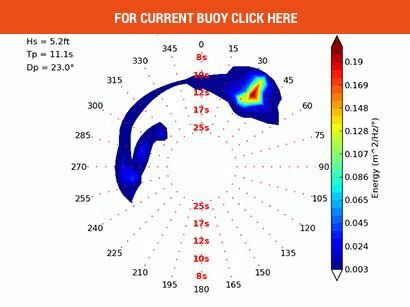 COOLANGATTA, Queensland/AUS (Saturday, April 6, 2019) – The Boost Mobile Pro and Quiksilver Pro Gold Coast, Stop No. 1 on the World Surf League (WSL) Championship Tour (CT), narrowed the field down to the Semifinalists and Quarterfinalists after another exciting day of action at Duranbah, the event’s backup site. Clean three-to-four foot (1 – 1.3 metre) waves set the stage for big eliminations and upsets in men’s Round 4 and the women’s Quarterfinals. 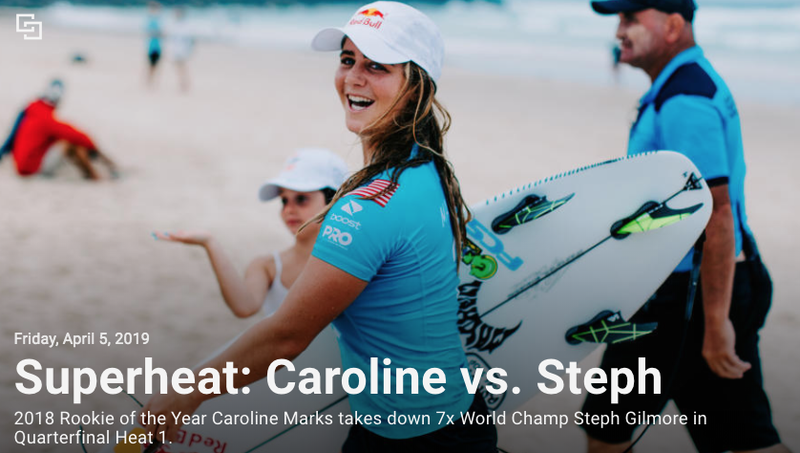 Caroline Marks’ (USA) signature surfing, which earned her two major Qualifying Series wins in 2018, was on full display against the seven-time WSL Champion Stephanie Gilmore (AUS). 17-year-old Marks had Gilmore under pressure, requiring a near-perfect 9.16 (out of a possible 10) after she posted a 16.33 (out of a possible 20) heat total. Marks kept improving her lead with a third excellent ride to seal the deal and start her 2019 campaign with a guaranteed third-place finish. 3X WSL Champion Carissa Moore (HAW) is through to the Semifinals of the Boost Mobile Pro Gold Coast. Hawaii surfers Carissa Moore and Malia Manuel are through to the Semifinals after big wins over Johanne Defay (FRA) and Tatiana Weston-Webb (BRA), respectively. Three-time WSL Champion Moore put on a powerful and progressive display to dominate Defay in the clean D-Bah peaks. Moore posted the second highest heat total of the Boost Mobile Pro and moves one step closer to a third Gold Coast event title. The fan favorite Weston-Webb fell to fellow Kauai’s Manuel in a close battle that went to the final minute where Manuel garnered the critical score to secure her spot in the next round. The sole Aussie progressing in the Boost Mobile Pro Gold Coast Quarterfinals is perennial title threat Sally Fitzgibbons (AUS) who overcame alternate Sage Erickson (USA) with a measured performance at Duranbah. Although Fitzgibbons controlled the heat in its majority, Erickson snagged a perfect set wave in the dying seconds and posted her highest score of the matchup, but the score, unfortunately, fell short of the requirement. Fitzgibbons will move in the Semifinals and one step closer to claiming her first event win on the Gold Coast. 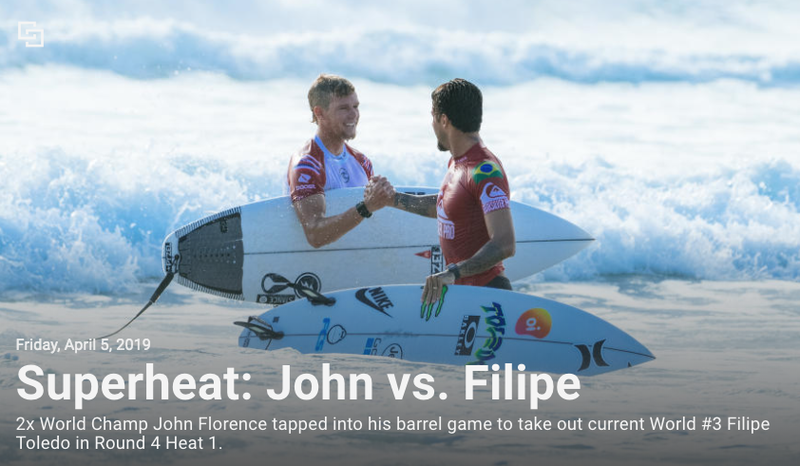 One of the heats to watch so far in 2019 did not disappoint as two-time WSL Champion John John Florence (HAW) squared off against the ever-explosive Filipe Toledo (BRA). Florence’s first wave set the tone of what to expect and he did not relinquish that early lead despite a ferocious Toledo on his heels throughout the battle. Florence will take on the powerful style of Conner Coffin (USA) in the Quarterfinals after the Santa Barbara native eliminated Kanoa Igarashi (JPN) today. Coffin’s fellow Californian Kolohe Andino (USA) showcased his prowess in hunting down scores over former event winner Owen Wright (AUS). Reigning WSL Champion Gabriel Medina (BRA) had to fight back against fellow countryman Yago Dora (BRA) after Dora’s quick start. But Medina wasn’t to be outdone and quickly took the lead despite Dora notching the heat’s highest single-wave score of a 7.33 (out of a possible 10). 2019 CT rookie Seth Moniz (HAW) is on a tear in his debut event with yet another heat win, this time eliminating Gold Coast standout Reef Heazlewood (AUS) and now represents the sole rookie remaining after Jordy Smith (ZAF) defeated Mikey Wright (AUS) in their bout. 2018 Rookie of the Year Wade Carmichael (AUS) laid down a brilliant showing against CT veteran Michel Bourez (PYF) to finish out Round 4 after Italo Ferreira (BRA) narrowly edged out fellow countryman Willian Cardoso (BRA) in a second all-Brasilian battle. The next call for the Quiksilver Pro and Boost Mobile Pro Gold Coast will be tomorrow morning when event organizers will reassess the conditions to decide the event’s location and schedule. 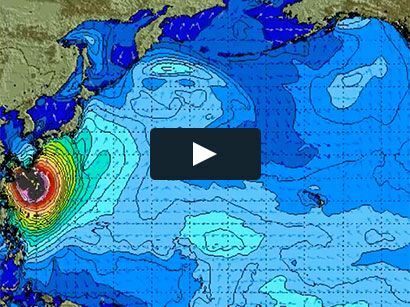 For updates on the call, please visit WorldSurfLeague.com.